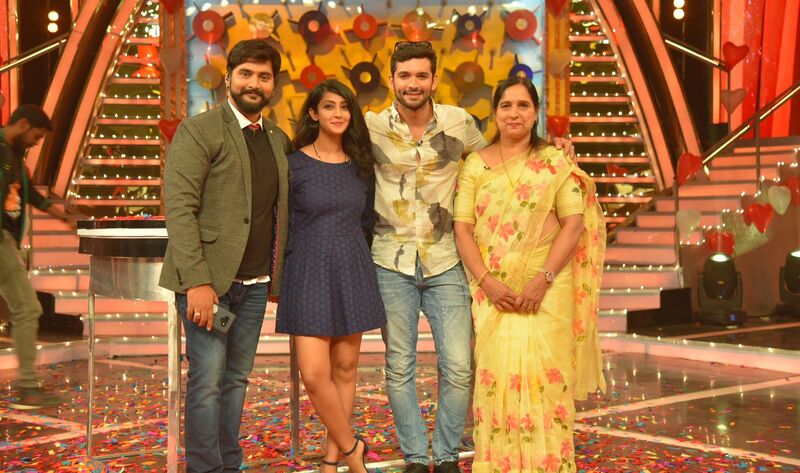 Udaya Television’s Tuttha Muttha which has become the favourite gameshow of the public has special guests this week. Karnataka’s Doodh peda Diganth Manchale will be seen along with his gorgeous wife Aindrita Ray and Mother. The newly married couple shared their love story before revealing a heart breaking story on Television for the first time. The two met on the sets of Manasaare and from there, their love for each other blossomed. The two went on to build successful careers as actors and models. Their courted each other for 9 years before tying the knot. Aindrita explained that Diganth is a science buff and can talk about it for hours. She went on to explain how he doesn’t hurt anyone and is always a happy go lucky person. Diganth too shared about Aindrita’s caring side and that their love for each other never let anything come between them. While everything seemed fine, a tragedy struck the two in the form of an accident that left them all shaking. Diganth who made his debut in Bollywood through the film ‘ Wedding Pulao’ faced the unexpected. During the shoot of a scene, he was injured in the eye thanks to the recklessness of his co-actor. The incident damaged Diganth’s eye permanently leading to various intensive and painful surgeries. Aindrita who explained about the incident teared up along with Diganth’s mother who was also participating for the first time. The beautiful couple’s wedding took place last year and owing to Aindrita’s routes of being a Bengali by origin, the wedding too upheld the same tradition. Thus the two got married again on the show while playing certain games which are a tradition in Karnataka. Apart from the emotional stories they shared, the trio had a great time on the show answering the questions and dancing to different tunesWatch Diganth and family compete on Thuttha Muttha this Saturday @9pm on Udaya TV.